Hello? It’s me. I was wondering if after all these years you’d like to meet. To go over everything, they say (San Blasted) is supposed to… Rock your body! Yeah, yeah. everybody, yeah, yeah. Mtrek’s back ALRIGHT! not a worry in the world, a cold beer in our hands. wanna rock and roll all night and party every day! If you threw your hands up because we’re playing your song, and the butterflies flew away (and if you understood what we were trying to do there) then you have found the partners trek you are destined for! Before moving to Ann Arbor, put your trust in us for 9 days and we promise you will have the best time of your life. Get ready to soak up the sun, zip line through the rainforest, repel down waterfalls, and have a blast exploring Costa Rica. After all the excitement of Costa Rica, imagine stepping back into a time before wifi, emails, and even *gasp* Snapchat. This, my friends, is the beauty of San Blas: a string of remote private islands that boast pristine white sand beaches and crystal clear water for snorkeling, swimming, and island hopping. After all, what is more romantic than spending time on a remote private island with your significant other? You guessed it…spending it with a handful of your new BFFs! Arrive in San Jose in your party pants to get ready to meet your fellow trekkers and new BFFs. Settle into the hotel, and if you're feeling energized, venture out for a coffee plantation tour or brewery visit before the first group welcome dinner. We'll toast a few (or many) to the beginning of our Central American escapade. Arenal: We'll start the morning driving out to Arenal for a fun filled day of volcano spotting and seeing the local towns. Hot springs will be available for some detoxing, then dinner and drinks will be on our own. We’ll see where the night takes us! Arenal: Get your cameras out and your gym shoes on! We will be flying high above the trees of Costa Rica on our sky trek, sky tram and zip lining adventure. Lunch will be provided during the activity and then we will have the evening free to explore on our own. Panama City: Today we will fly to Panama City, the "Manhattan that's been slapped with hot sauce." We will explore this steamy, tropical town by starting off in Old Panama City. Where the night takes us is up to us! Tonight's the night we will see your true party face. San Blas Islands: Today's the big day! After nursing hangovers and downing a monstrous breakfast we will embark on the second leg of the trip and the best three days of your life. We are headed to San Blas, a semi remote island chain off the coast of Panama where days will be spent snorkeling, swimming, and soaking up the sun. Imagine a turquoise archipelago with white sand and waving palms, these Caribbean islands cheat no one's version of paradise. 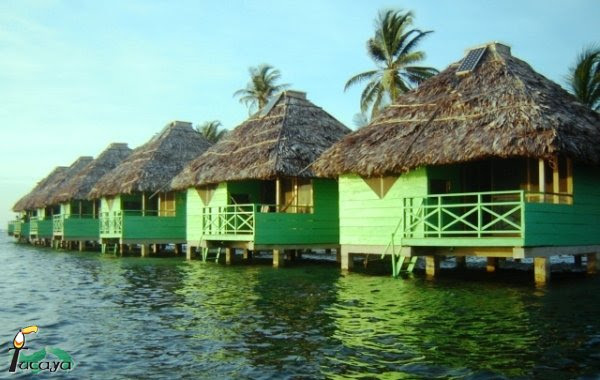 San Blas Islands: In the morning we will visit the local Guna community, meet the indigenous Indians known as Kuna's or Guna's, and try the local Kuna food. Spend the afternoon swimming, snorkeling, napping, day drinking, island hopping…you name it, we can do it! San Blas Islands: Today, the world is your oyster. Wake up in paradise and do whatever your heart desires. Tonight we will reminisce on the best week of your life before forgetting it all on our last night together. With a heavy heart, we will leave Panama City for Ann Arbaugh where school, recruiters, Saturday khakis at the bus, and Ricks inevitably awaits.